It is certainly wonderful news that the late John Peel's vinyl collection will be available to view online with the first 100 titles being made available tomorrow (May 1). Due to the complications of putting albums online, the music itself will not be made available; rather,links will be given to music-buying sites such as Spotify and i Tunes. According to the the Independent newspaper today..
'The project, co-funded by the Arts Council and the BBC, will see information on some of the 26,000 vinyl albums Peel amassed over his career put on a website. Each week, over the next 26 weeks, details of 100 albums will be released, alphabetically. 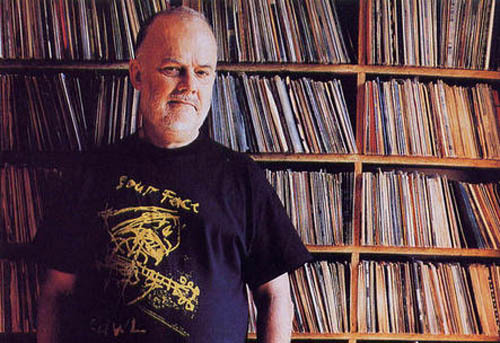 Due to the sheer size of Peel's collection, it was decided to release 100 per week'. Click here to go to the website..